Gustavus Adolphus College has received a $1 million grant from Lilly Endowment Inc. to support the continuing education and leadership development of Evangelical Lutheran Church in America (ELCA) pastors in southern Minnesota. The grant is part of Lilly Endowment’s Thriving in Ministry initiative. The initiative supports a variety of religious organizations across the nation as they help pastors build relationships with experienced clergy who can serve as mentors and guide them through key leadership challenges in congregational ministry. The grant to Gustavus will greatly expand the College’s Pastor-to-Pastor program to create a framework for professional development among clergy, known as the Continuous Growth Pathway program. “Gustavus has been collaborating with pastors for 15 years to offer meaningful continuing education experiences for clergy. We are excited because this grant will bring to life the comprehensive leadership development structure the pastors have been envisioning and further increase the peer-to-peer support resources they need,” said the Rev. 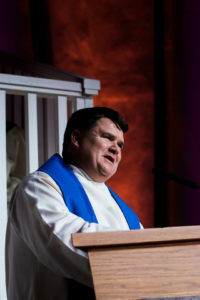 Grady St. Dennis, who serves as the Gustavus director of church relations and leader of the Continuous Growth Pathway program. The Rev. Grady St. Dennis will lead the Continuous Growth Pathway program. The program is unique in its ambitious plan to provide a comprehensive menu of resources for ELCA clergy from the Southeastern Minnesota and Southwestern Minnesota Synods that spans the spectrum of ministry experience from those in their first call to those who have been in pastoral ministry for decades. 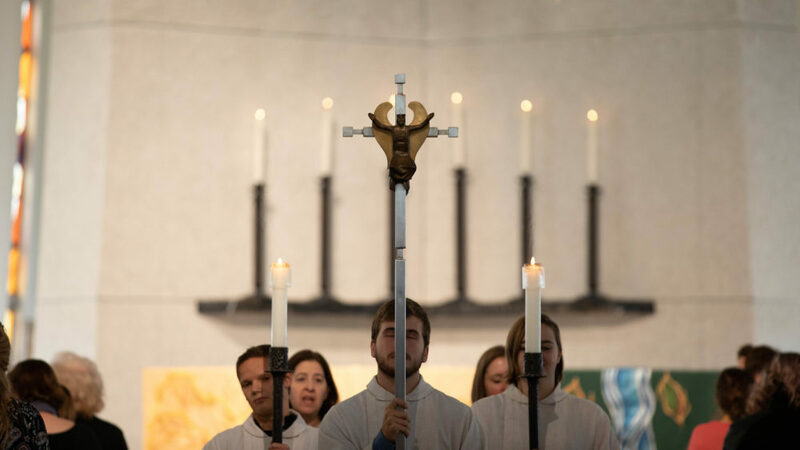 Gustavus is strongly rooted in the ELCA tradition, and the Continuous Growth Pathway program will join such College offerings as a Daily Sabbath service, support for a variety of faith-based student groups, a new multifaith center, and the Gustavus Academy for Faith, Science, and Ethics, a camp for high school students that takes place each summer on campus. Lilly Endowment is making nearly $70 million in grants through the Thriving in Ministry initiative to a total of 78 organizations located in 29 states. The organizations reflect diverse Christian traditions: mainline and evangelical Protestant, Roman Catholic and Orthodox. Thriving in Ministry is part of Lilly Endowment’s grantmaking to strengthen pastoral leadership in Christian congregations in the United States.